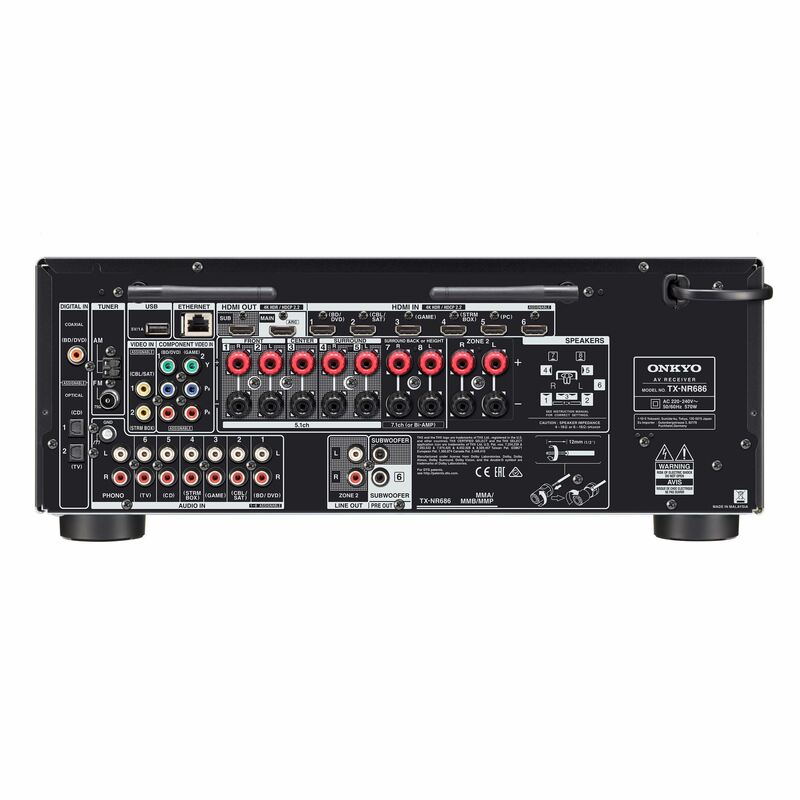 Home / Audio Visual / Receivers & Amplifiers / ONKYO 7.2 Channel Network AV Receiver..
ONKYO 7.2 Channel Network AV Receiver..
THX Ltd. was founded by legendary filmmaker George Lucas to improve the entertainment experience at commercial theatres and at home. 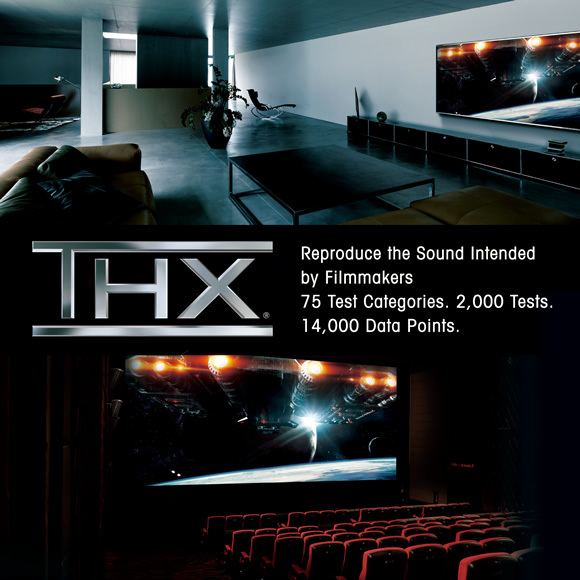 To gain THX Certified Select certification, home theatre receivers must pass 2,000 severe THX laboratory bench-tests in 75x categories covering 14,000 data points to assure reference performance in every respect. With uncompromising sound-quality exceeding world-class standards, you can feel the theatre sound as the filmmaker intended. The TX-NR686 features original Dynamic Audio Amplification to precisely control your speakers. Custom-fabricated transformer enables stable power supply while fully customized capacitors assure instantaneous response to dynamic changes. This is vital for thrilling movie sound. High-current power is proven by 4–16Ω speaker-driving capability. Discrete wide-range amplification circuitry has hand-selected audio parts and is exhaustively tested and tuned. 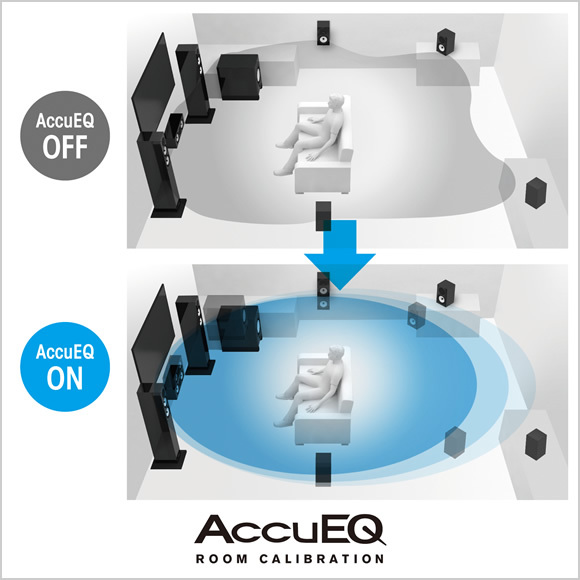 This guarantees dynamic sound with phenomenal image accuracy. 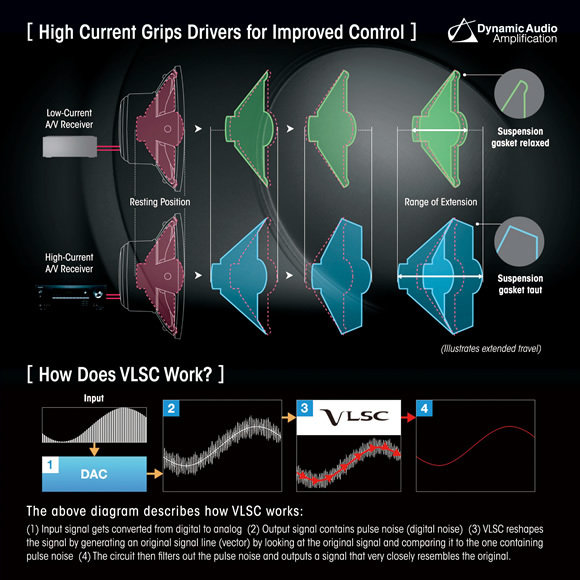 Non-phase-shift circuitry joins patented VLSC™ noise-removal circuit technology on the front L/R channels to improve clarity and detail. By eliminating digital noise from source to speaker, unique textures are revealed while improving sound field cohesion for a thoroughly immersive listening experience. HDR reveals what’s been missing from a high-definition video with improved detail resolution in shadows and sparkling highlights as the eye sees them naturally. HDR also expands the colour gamut to about 75% of the visible colour spectrum. 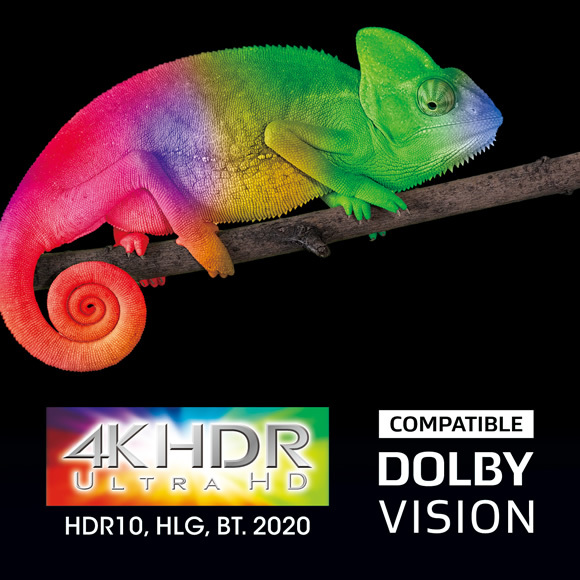 Colours are infinitely richer and more natural on HDR-compliant TVs, with smoother tonal gradation. 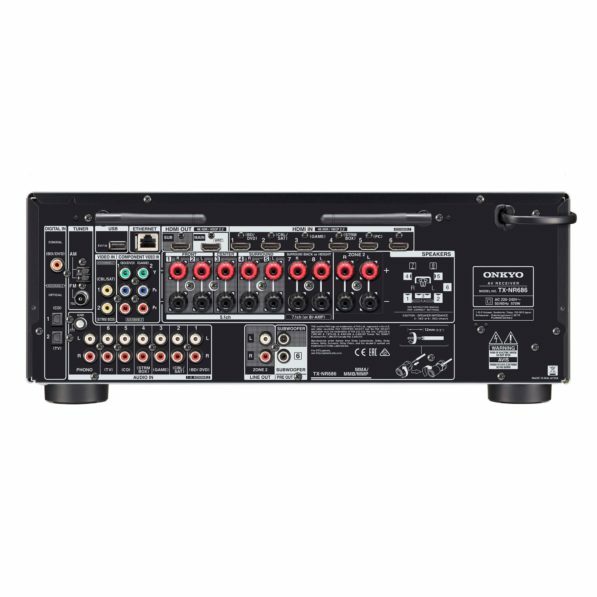 The TX-NR686 has seven HDMI inputs, Main Out, and Sub Out to support pass-through of 4K HDR video in HDR10, HLG, and Dolby Vision™ formats. Selected inputs handle the BT.2020 4K Video Standard, 4K/60Hz video, and unlock HDCP 2.2-protected premium content. 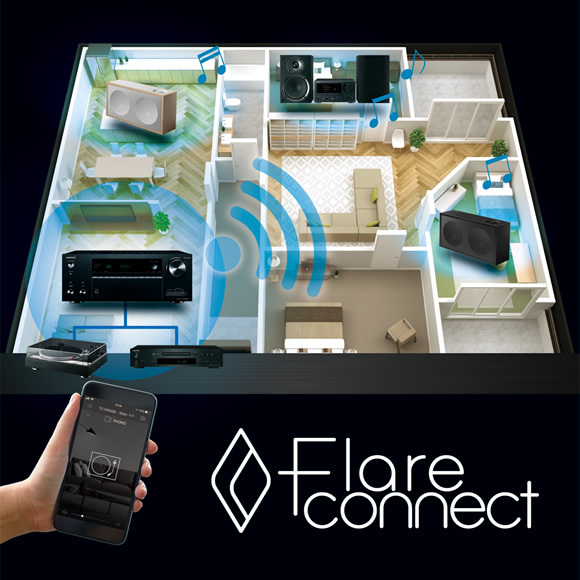 FlareConnect shares audio from network and external audio input sources between supported components. 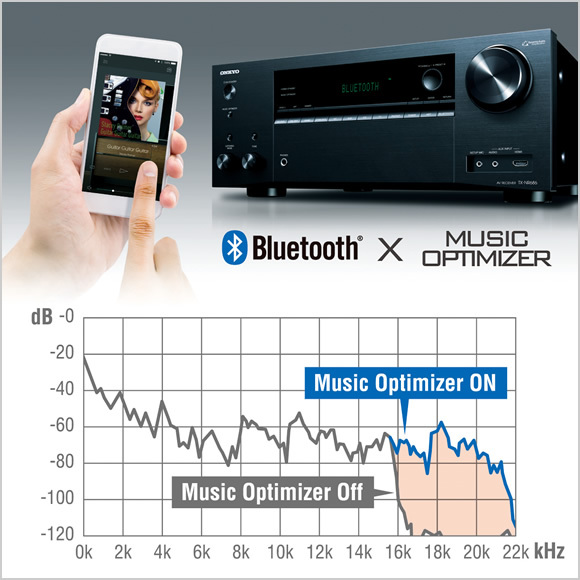 Connect your audio systems to WiFi to enjoy high-quality reproduction of music stored on mobiles using Onkyo Controller app on single or grouped speakers. Relax with a huge variety of music via streaming services and internet radio channels. You can also play from any component’s external audio inputs. 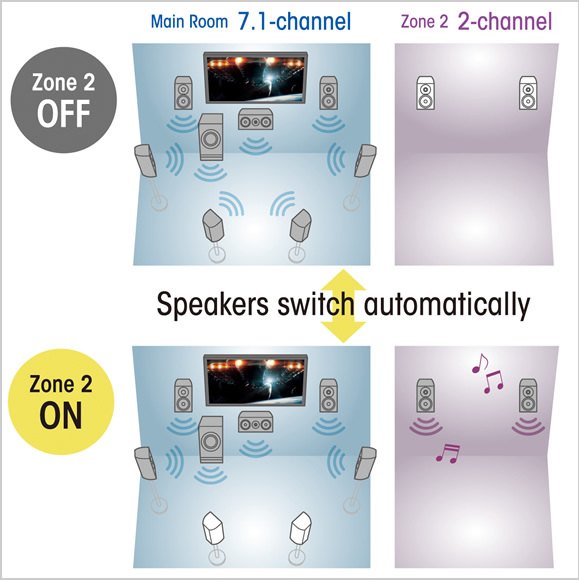 Your favourite tunes, even LPs, can be mirrored in speakers in other rooms. 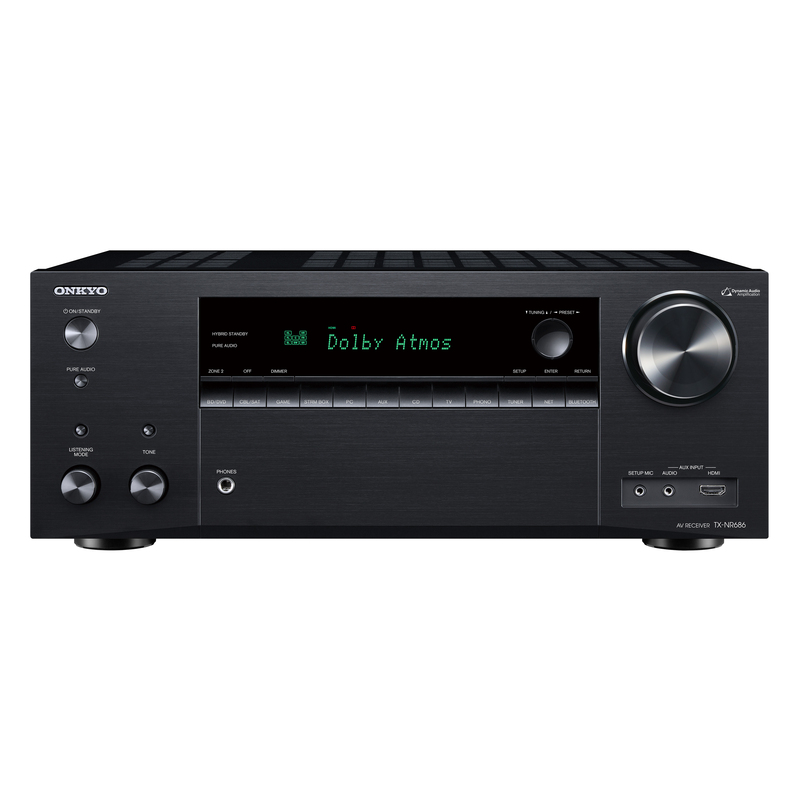 Music selection, speaker grouping, and playback are built into the Onkyo Controller app. For external input availability. 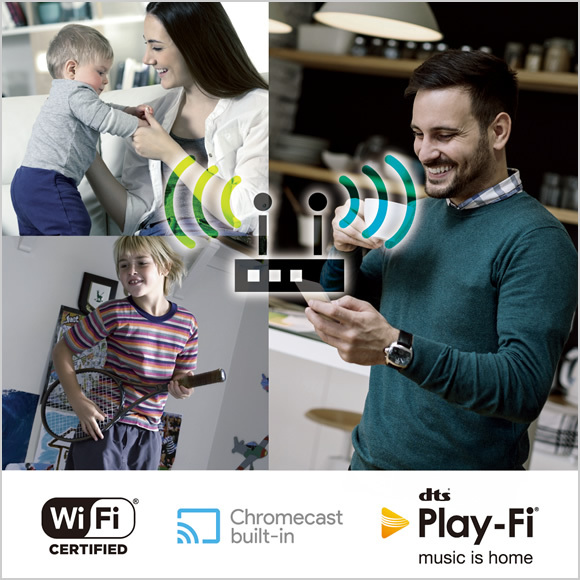 Built-in WiFi supports 5GHz and 2.4GHz frequency bands so your components can connect to the channel with the least amount of congestion. 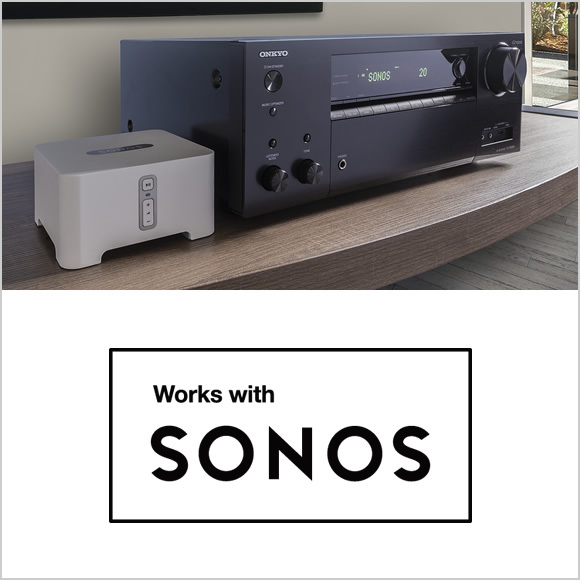 Stable connectivity delivers a more satisfying multi-room experience on your choice of network audio platform. 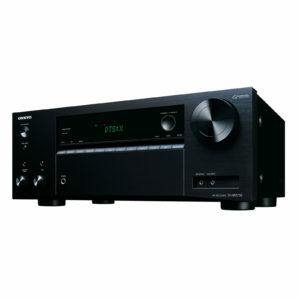 The TX-NR686 features DTS Play-Fi® technology to share high-quality music from connected online services, media servers, and your device library to any number of compatible products using the Onkyo Music Control App for iPad, iPhone, and Android™ smartphones/tablets. 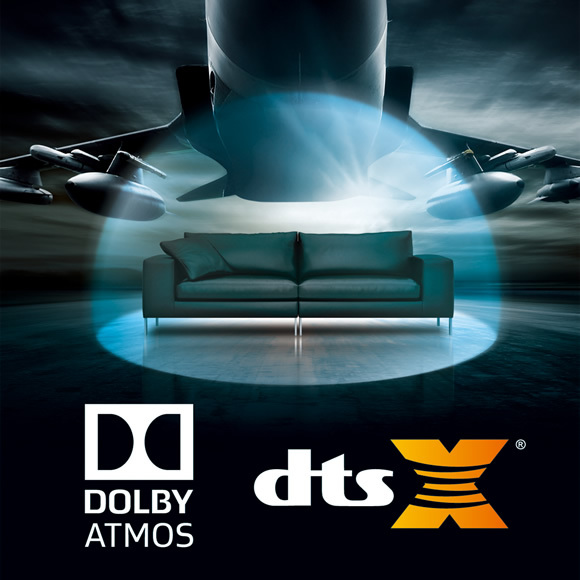 DTS Play-Fi technology easily synchronizes music playback in every room. 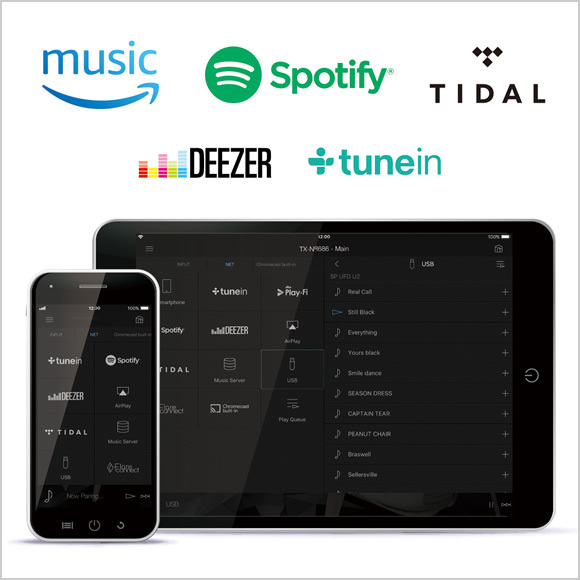 With Chromecast built-in, you can stream any music from your smartphone, laptop, or PC to the TX-NR686 and other supported components via Chromecast-enabled apps you know and love from your iPhone, iPad, Android phone or tablet, Mac or Windows laptop, or Chromebook™. 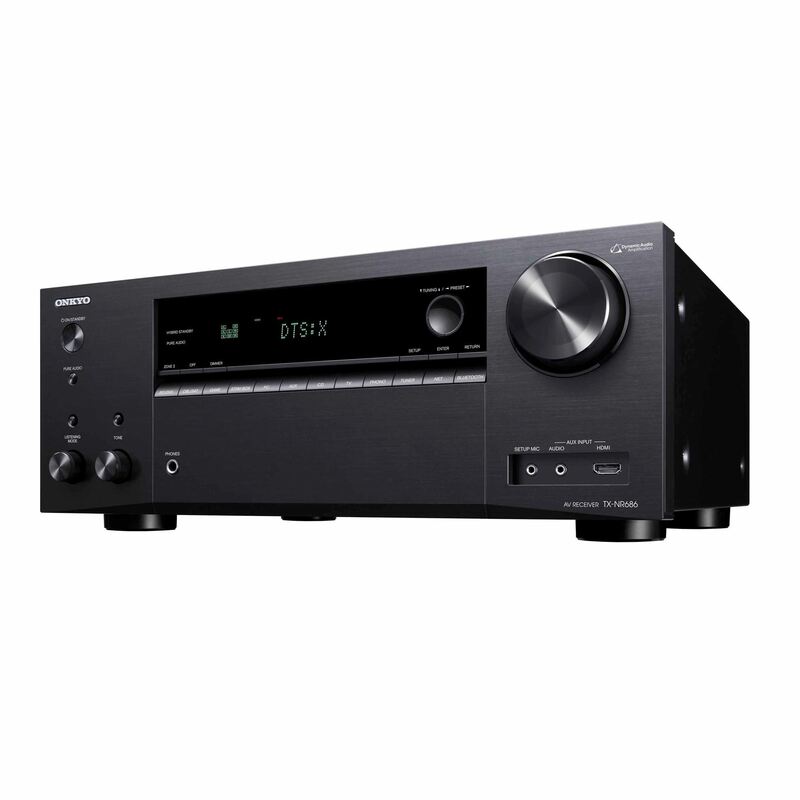 The Onkyo TX-NR686 is engineered from top to bottom for universal Hi-Res Audio playback that’s easy to access and enjoy. You can play two ways: use the Onkyo Controller remote app to locate your Hi-Res Audio albums—including 5.6MHz DSD (converted to PCM on playback) and PCM to 192kHz/24-bit—on network-attached PC or storage device and play them back on the receiver. 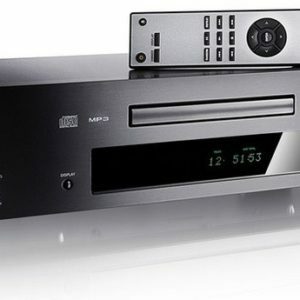 You can also copy your albums to a USB storage device, connect it to the receiver, and use the system remote to select music. 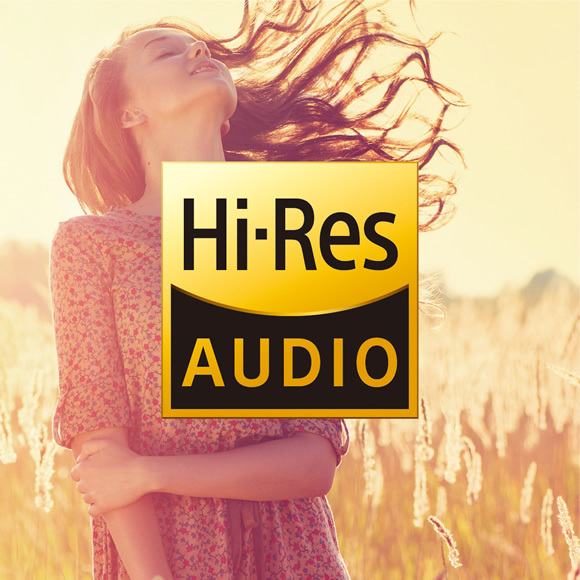 Discover the extra clarity, detail and analogue-like fluency that high-resolution music affords for yourself.